There are many great events across North America celebrating swans. Here are some for your consideration. 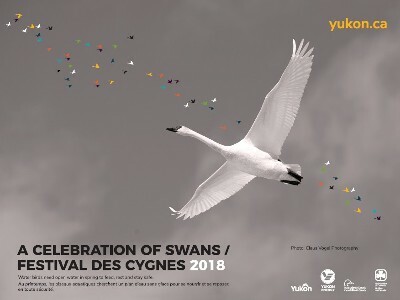 Yukon's premier bird festival, A Celebration of Swans, brings residents and visitors alike out to great swan viewing areas to welcome spring to the north, arriving on the wings of the Trumpeter Swans. Throughout April and early May visitors flock to open water making A Celebration of Swans the largest birding event in Yukon. Approximately 10% of Yukoners join in activities or visit Swan Haven each year. The Detroit Lakes area is in the heart of a transition zone of tall grass prairie, northern hardwood and conifer forest ecosystems. Serious birders flock here each spring for the annual Detroit Lakes Festival of Birds. The Festival of Birds is held in May. In late December through January, the Iowa Department of Natural Resources hosts Swan Soirees in different counties. 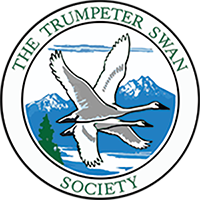 There are activities for kids, presentations, swan viewing and a chance to see a Trumpeter Swan upclose. If you'd like to be notified of the Swan Soirees, please sign up to receive our Enews and put in your state. If you live in Iowa you will automatically receive a notice of upcoming Iowa swan events and swan releases. The Biggest Little Birding Festival in the Midwest"
Come to Michigan's Sunrise Coast in May to enjoy spring birding at its best, attend presentations on the latest birding topics, hone your birding skills, and learn about avian conservation work in Michigan. The Tawas Point Birding Festival is a Michigan Audubon signature event that is supported by the local chapter, AuSable Valley Audubon. Festival participants enjoy some of the best birding in the Great Lakes region. Somenos Marsh Wildlife Society hosts a multi-week Wild Wings Festival in the autumn, celebrating the arrival of wintering swans and other migratory birds.